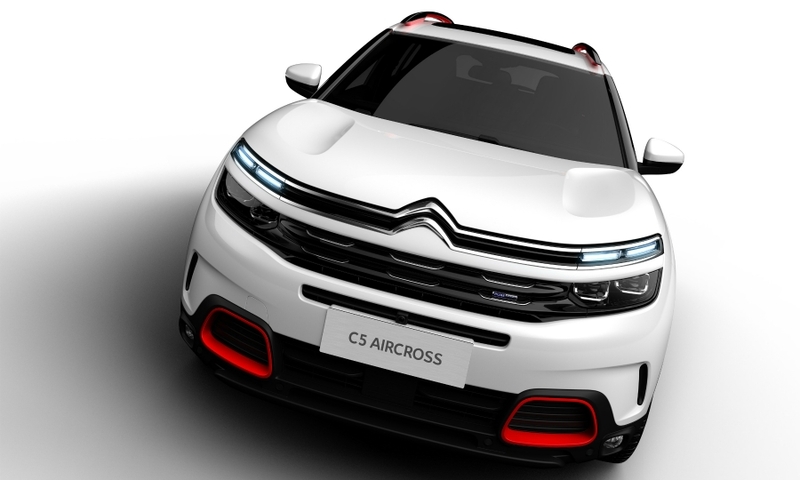 Citroen is seeking to repeat the success of its C3 Aircross small SUV with the European introduction of the C5 Aircross. The automaker hopes the C5 Aircross will stand out in the surging, and crowded, compact SUV sector by emphasizing the vehicle's driver and passenger comfort. 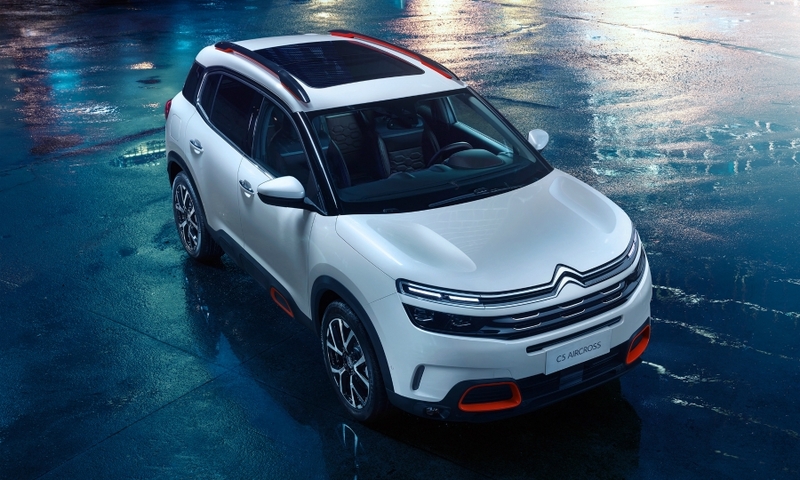 To that end, the C5 Aircross is fitted with Citroen's hydraulic suspension, redesigned seats with thicker padding, double-glazed windows for sound deadening as well as 20 driver aids and convenience features. 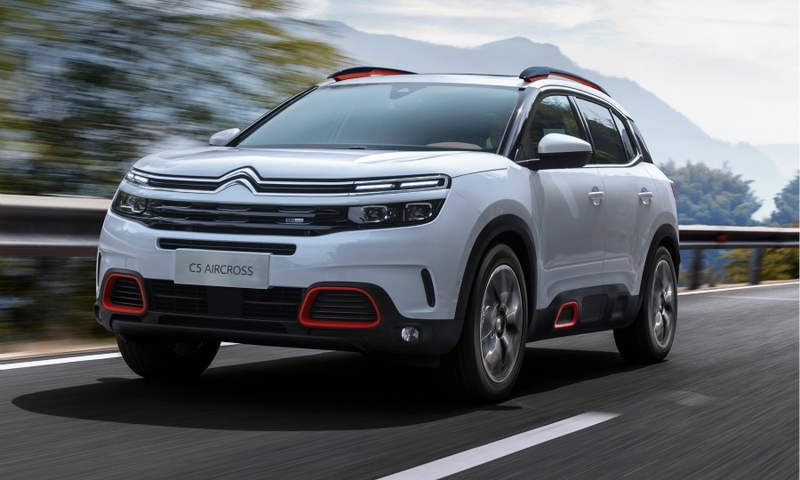 Citroen CEO Linda Jackson says the C5 Aircross is the brand's new "standard-bearer," with the C5 midsize sedan on hiatus. The automaker says the SUV will be its most international model, with sales in 92 countries. The company has not announced prices. 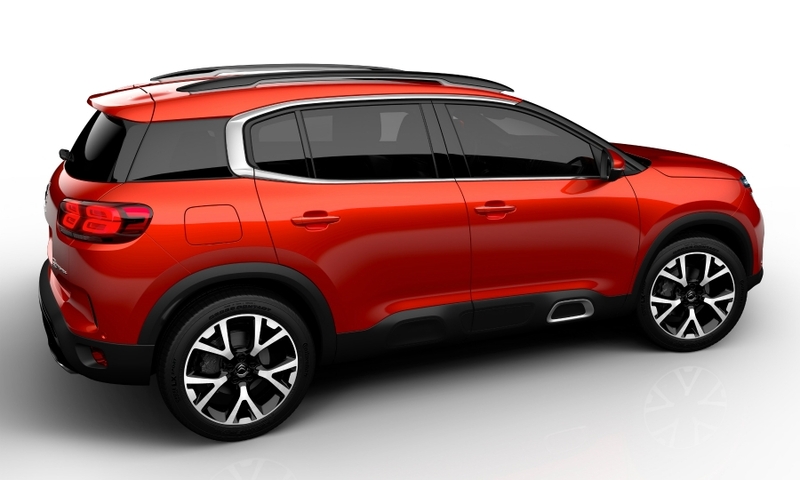 The front-end styling includes the brand's new two-tiered light signature, as seen on the C3 Aircross, and chevrons that stretch across the width of the vehicle. Colored inserts in the lower front fascia are echoed in the graphic shapes of the so-called "air bumps" on the rocker panels. Other exterior features are blacked-out pillars that give the impression of a "floating" roof and chrome C-shaped trim at the rear. 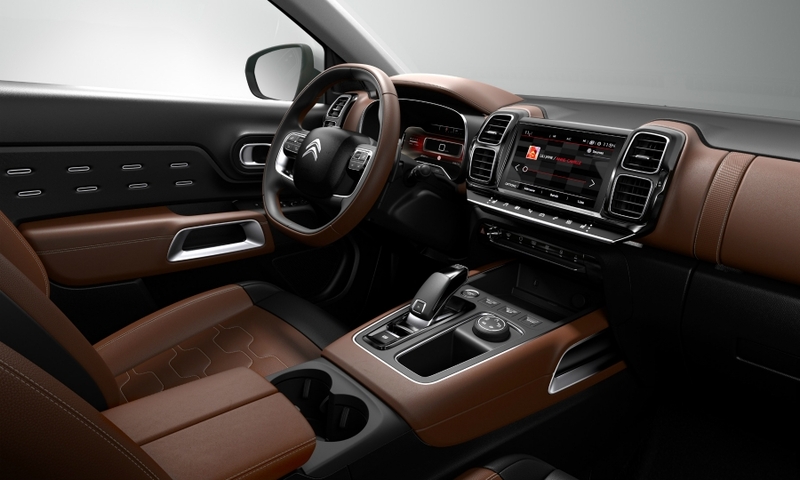 PSA Group engineers have given the C5 Aircross the automaker's latest driver-assistance technologies. Among them are active emergency braking, a blind-spot warning that can take over steering to keep the vehicle in its lane, active lane-keeping, and adaptive cruise control with stop-and-go driving capability. The features can combine to allow semi-autonomous driving on highways. Other driving and safety aids include a "coffee break" alert for tired drivers, headlights that automatically switch between high and low beams, and parking assistance. Infotainment features include an 8-inch central touchscreen, wireless phone charging and a camera built into the rearview mirror that takes pictures that can be transferred to a smartphone or social networks. The camera also continuously films the road ahead and saves video in the event of an accident. 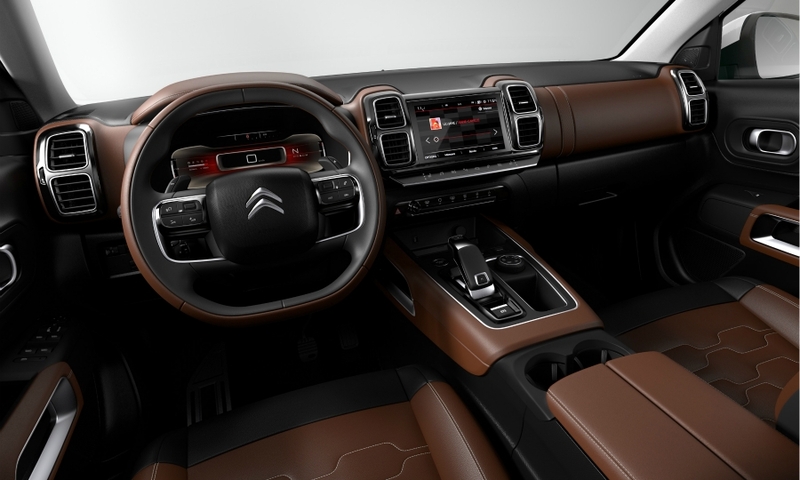 Citroen wants to appeal to minivan buyers with a modular and flexible interior, one that the company says offers the largest cargo volume in the segment at up to 1,630 liters with the second-row seats folded down. 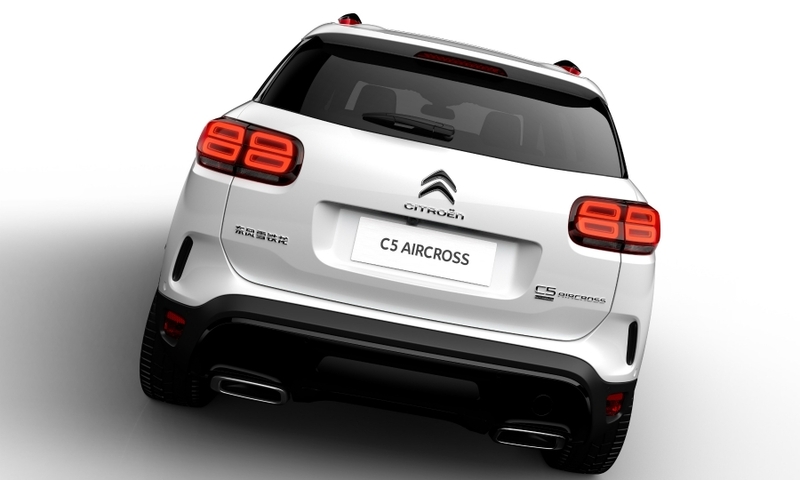 The C5 Aircross, first shown at the Shanghai auto show last year, went on sale in China last autumn. European sales will begin at the end of 2018. 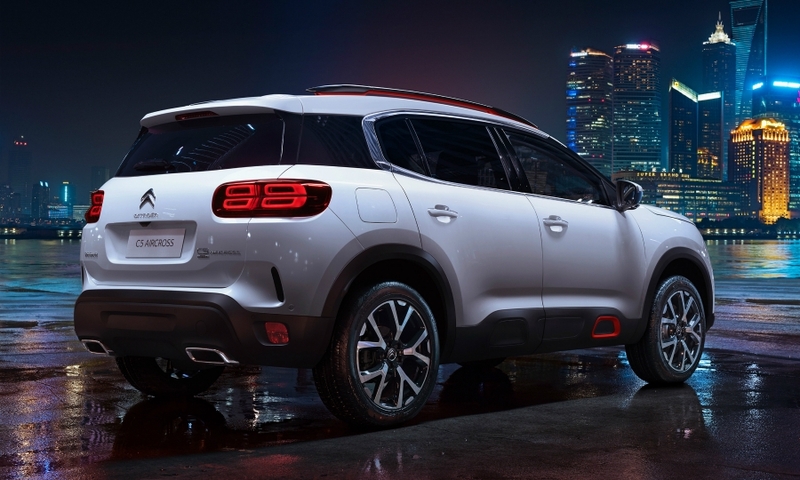 PSA Group's EMP2 architecture underpins the C5 Aircross as well as its sibling models, the Peugeot 3008, DS 7 Crossback and Opel/Vauxhall Grandland X. 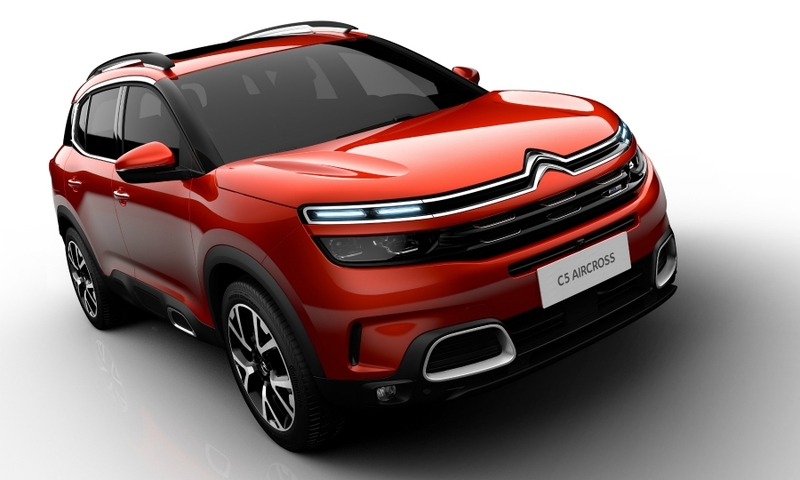 Suspension: The C5 Aircross features Citroen’s Hydraulic Cushion suspension, with hydraulic stops -- one for compression and decompression -- at each corner to soften hard bumps. Seating: European models will have improved seating, with high-density foam in the center of the seats and thicker padding overall. Three equal-size seats in the second row individually recline and are adjustable forward and backward. Customization: Buyers can choose from five interior material and color “ambiences,” three exterior trim packs and a contrasting black roof. 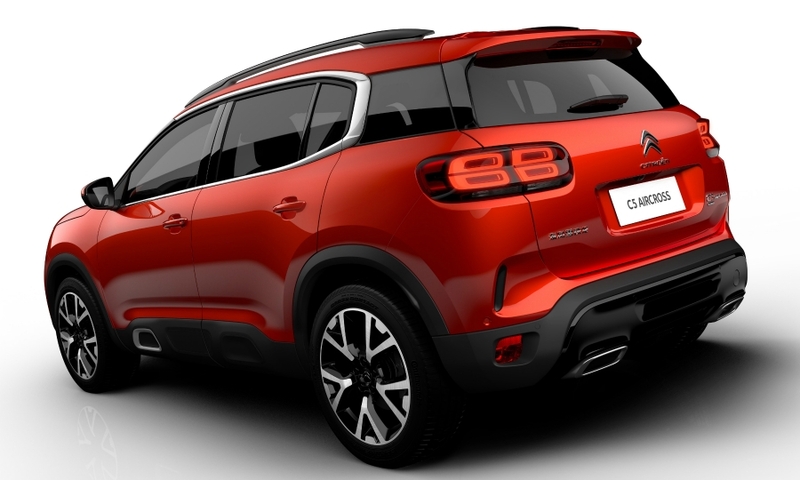 Citroen says 30 exterior color combinations are possible. Driver aids: Citroen says semi-autonomous driving is possible with its Highway Driver Assist system, which combines adaptive cruise control with stop-and-go, and an active lane-departure warning. Powertrain: European buyers can choose from gasoline or diesel engines with 130 hp or 180 hp, with front-wheel drive. 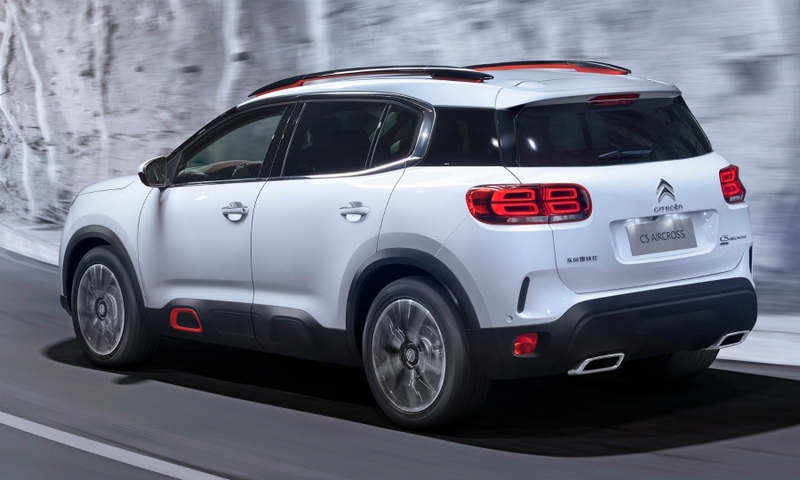 A plug-in hybrid version, Citroen’s first, with a full-electric range of 60 km will be available in late 2019.